If your shade garden is looking bland, there are several ways to brighten it up with colorful plants, furniture, and décor. 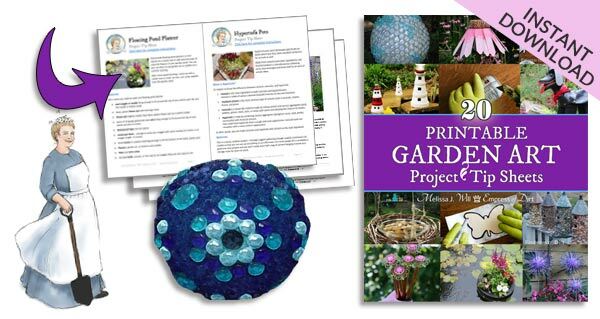 There are more tips here for growing veggies, flowers, and herbs in shady gardens. Shade gardens often have massive trees which hog and deplete soil resources or neighbouring buildings blocking the light. This can make gardening a challenge. Yet some of the most beautiful gardens I have visited have deep or dappled shade. So why are some shade gardens bland while others are beautiful? Just because it’s shady, it doesn’t have to be creepy! A shady corner of the garden can be the best place to sit and relax, out of the hot sun. 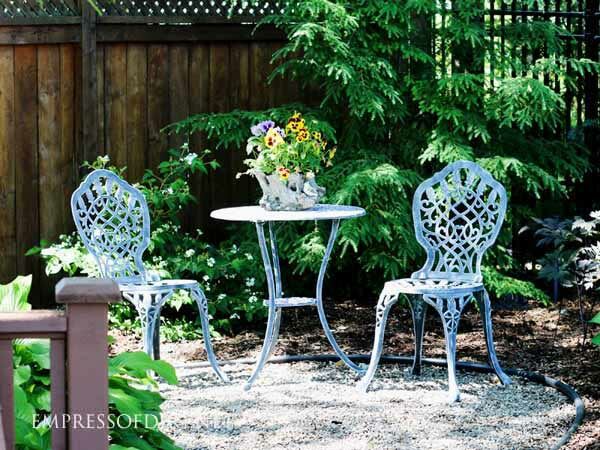 Define a sitting area with edging and add patio furniture for afternoon drinks. Or, if you prefer more serious relaxation, a hammock may be just what you need. 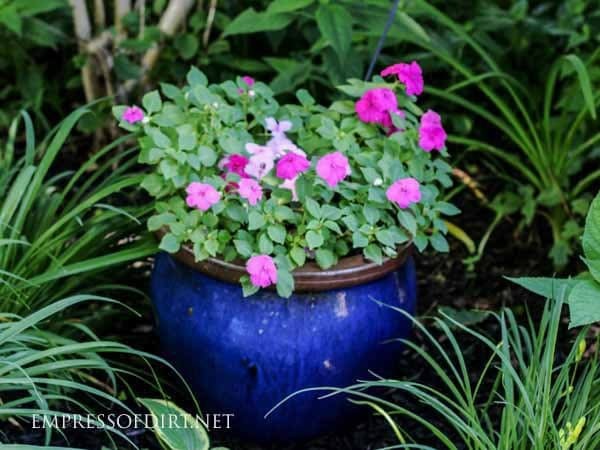 We tend to think of shade gardens for hostas and ferns, but there are many bright and boldly-colored flowering annuals and perennials to choose from as well. These flowering plants enjoy part-shade (4 to 6 hours of direct sun each day) and consistent moisture. If your soil tends to be dry, consider adding a drip irrigation system (here’s a helpful guide). I recommend starting all the plants in containers with good potting mix so you can move them around until you find their preferred growing spot. 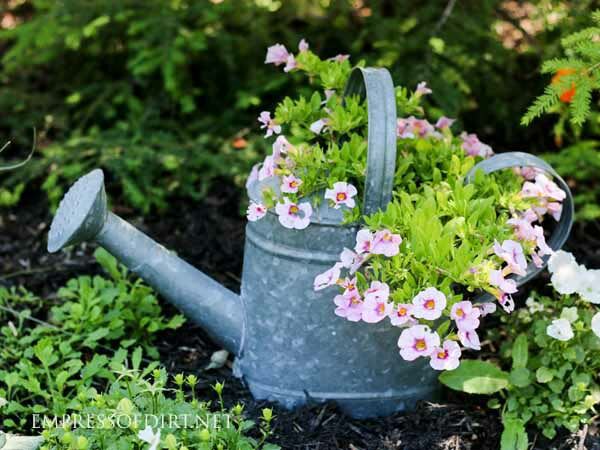 Whenever choosing plants, be sure they are suitable for your growing zone and conditions. 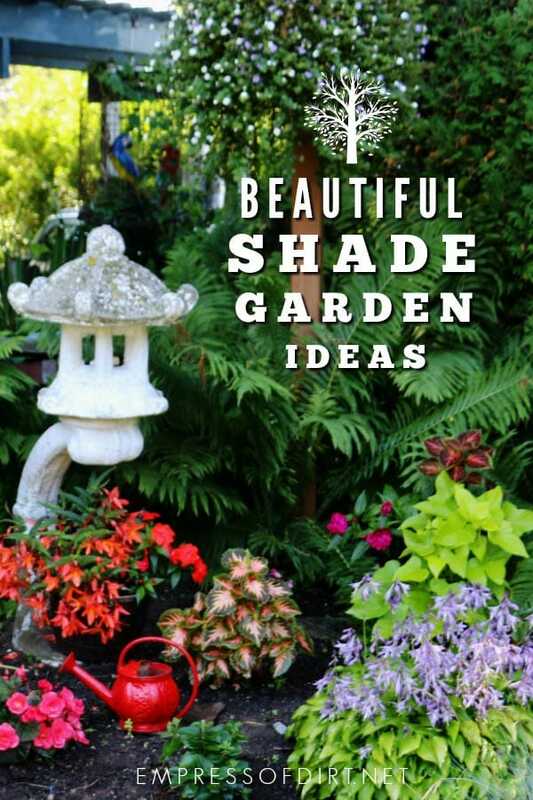 There are more tips here: Colorful Plants for Shade Gardens. In addition to flowering plants, consider using planters to provide bursts of color against the dark backdrop of the shade garden. You could pick a color theme like the blue you see here, which stands out nicely in the garden, and repeat it, or, chose a variety of colors for a more eclectic look. Vertical gardening can be simple. 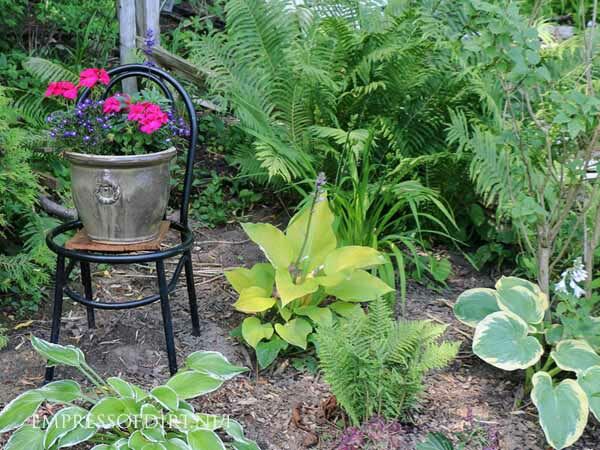 Here, a container of boldly-colored geraniums and lobelia on an old kitchen chair contrasts nicely with the hostas and ferns. You could also display a hanging planter on a shepherd’s hook with trailing vines and flowers. One of the prettiest ways to lighten up a dark garden corner is to add mirrors. 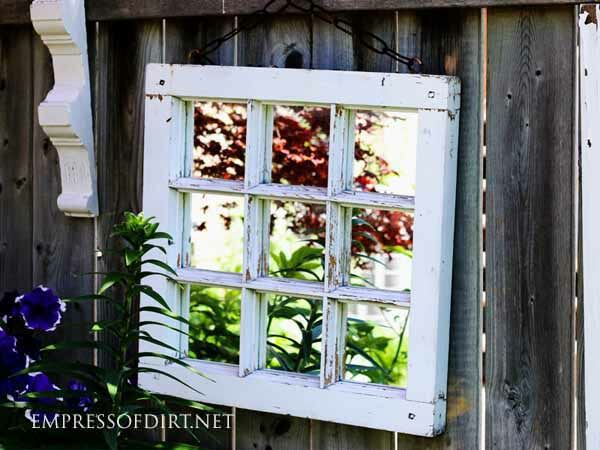 While you should never place garden mirrors in bird flight paths or directly facing the sun, they can look enchanting tucked away on a back fence. There are more tips for safely using mirrors in a garden here. Want to kick it up a notch? Add some solar lamps to light up the evening garden as well. But go easy—nightime creatures need darkness. 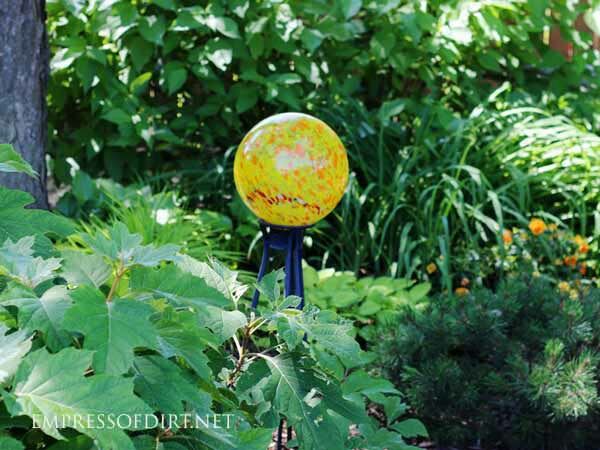 Something as simple as this brightly-colored garden art ball is all you need to create a focal point amongst the shade garden plants. Choose a color like this yellow ball, which stands out nicely in the garden. Or make your own using these instructions. Good-bye bland garden. Now you’ve got it made in the shade.